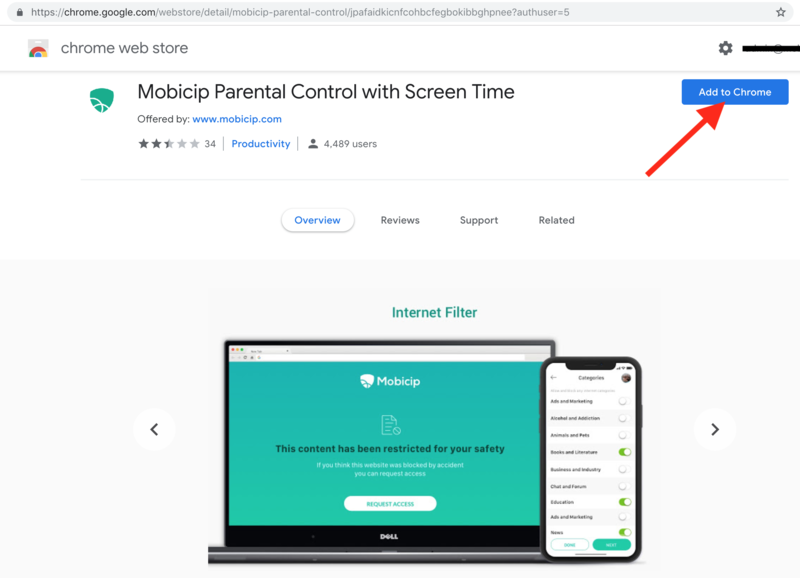 This tutorial describes how to setup Mobicip's powerful web filter & parental controls for Chromebook. 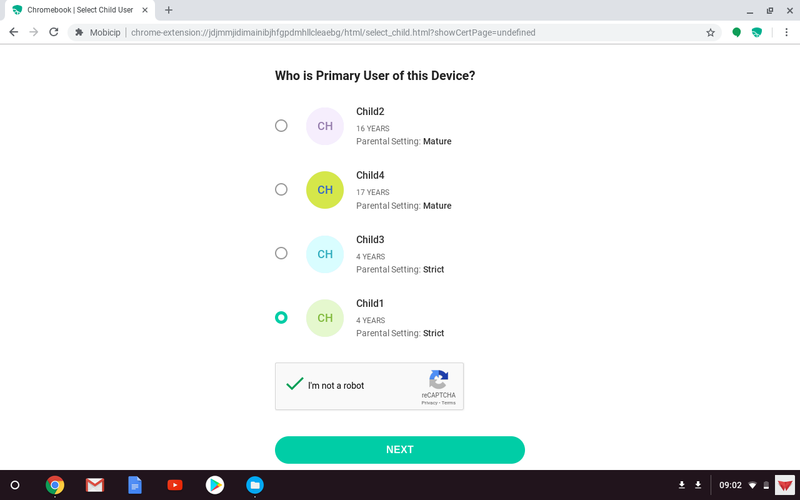 Note: If you are a Business or School, skip to this article instead - How to Setup a Web Filter on Managed Chromebooks. 1. The very first account used to login on a Chromebook is designated as the 'Owner' account, which has special privileges. 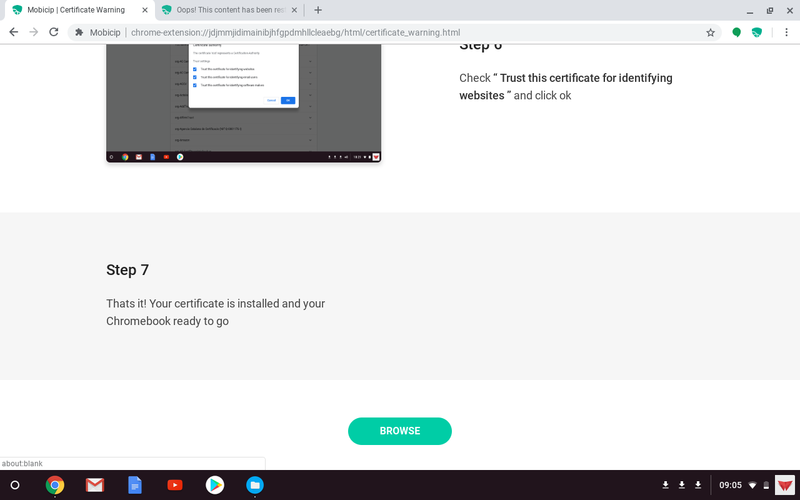 You may want to login using your own Google/Gmail account the first time on a new Chromebook to ensure that you retain the 'Owner' privileges. 2. To prevent workarounds, there are couple of things you need to setup while logged in as the 'Owner'. - Open chrome://settings. Under People, enable Screen Lock option. 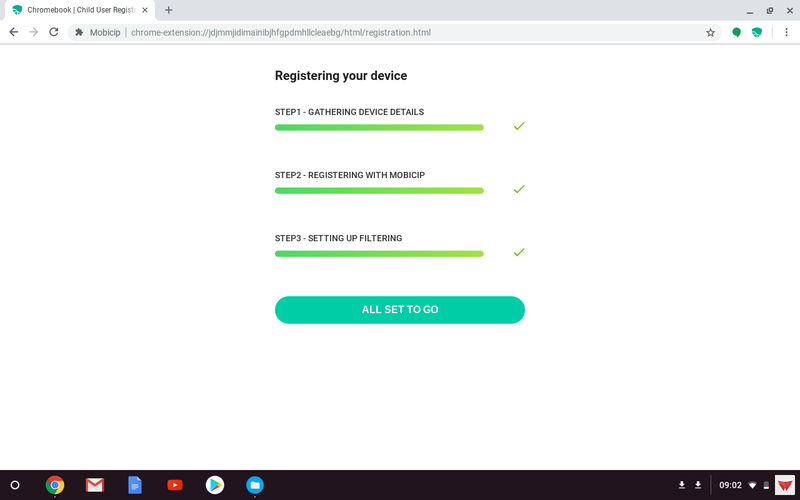 - Click on 'Manage other users' and disable guest mode, and add the Google account(s) that you wish to allow on this Chromebook, for instance, your son/daughter's Gmail account. 3. Logout of the 'Owner' account. 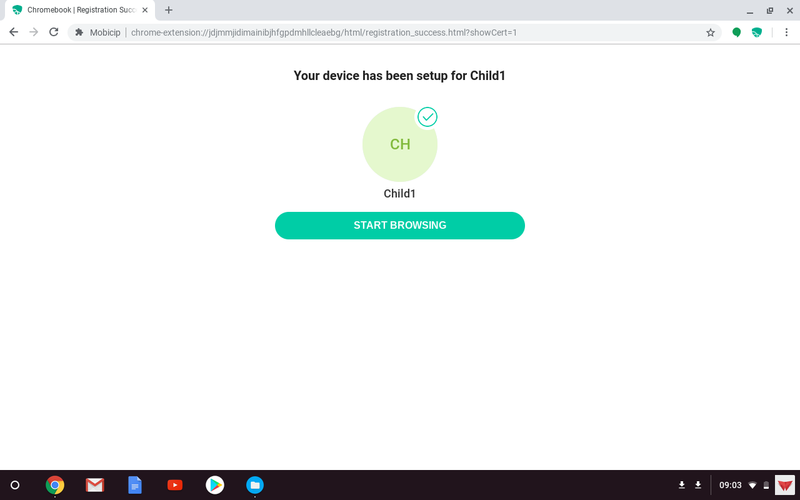 Login using the Google account that is to be monitored on the Chromebook, for example, your son/daughter's gmail account. 1. Download Mobicip from the Chrome Web Store. 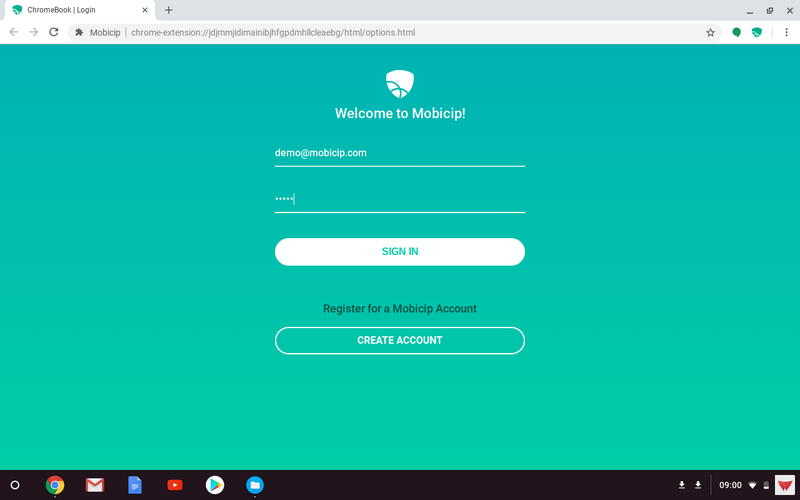 NOTE: Do not try to download the Mobicip app available in Google Play store as it is meant for Android mobile devices and not Chromebooks. Accept the prompts to install the extension. 2. A new tab will open and bring up the login page. 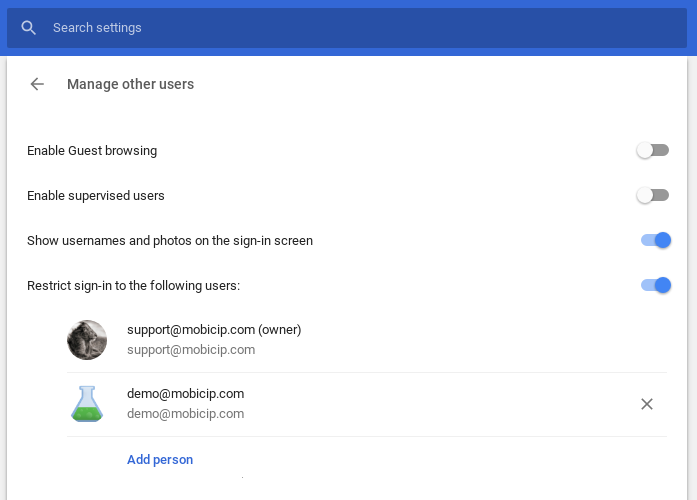 Enter your Mobicip username and password, then select the Child associated with this Gmail account. 3. 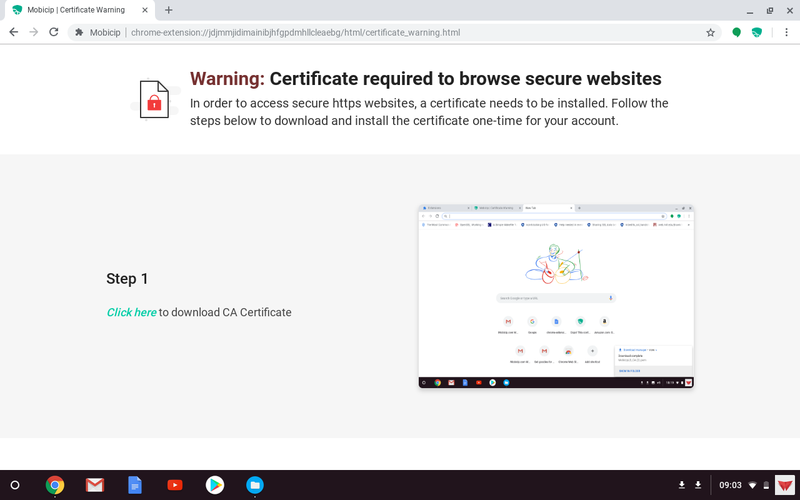 When you attempt to browse, you will see a page with instructions to install a certificate. Complete the steps on this page. 4. 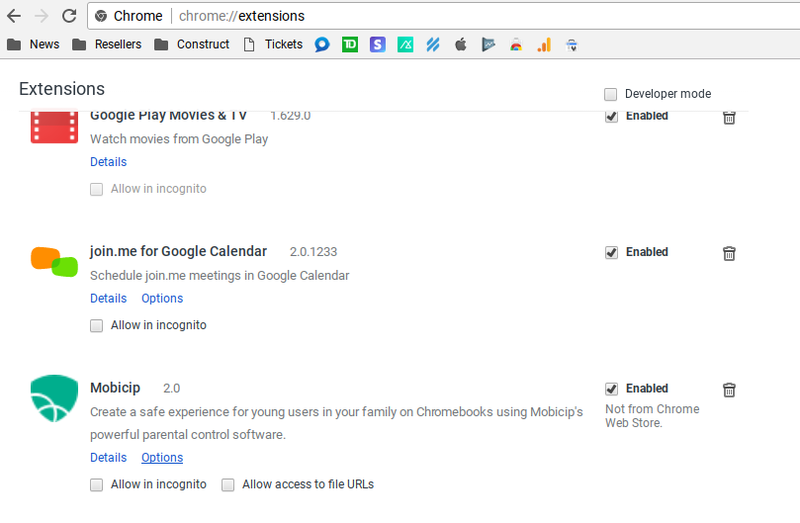 Go to chrome://extensions and choose the "Allow in Incognito" option. This enables Mobicip filtering in Incognito mode as well. 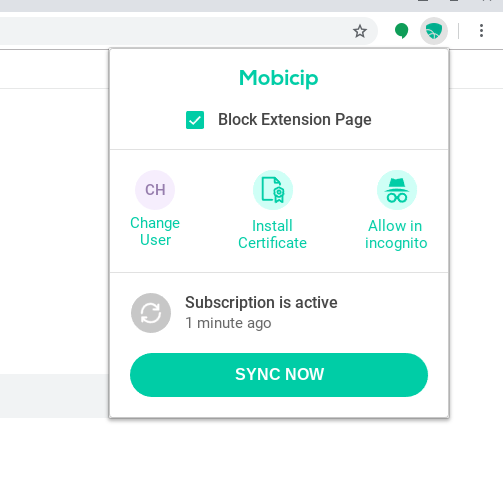 Also make sure that the option 'Block Extension page' is checked to prevent your child from removing Mobicip extension from Extensions page. 5. 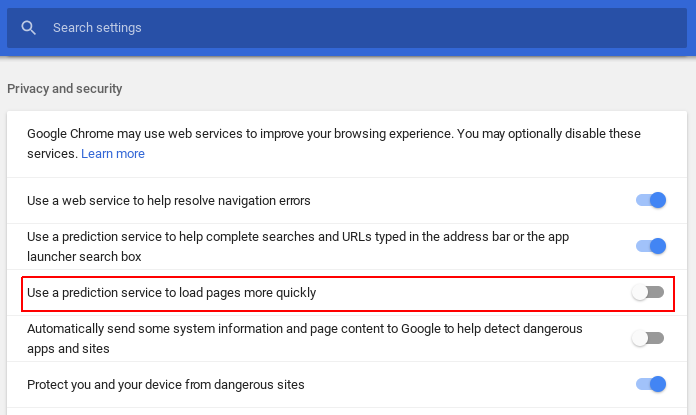 Open Chrome settings menu, scroll down and select "Show advanced settings". Under 'Privacy and security', disable the 'Use a Prediction service to load pages more quickly' option. 6. Right click on the Mobicip icon on the toolbar and select 'Hide in Chrome menu'. 7. Logout of the account on the Chromebook and login again. 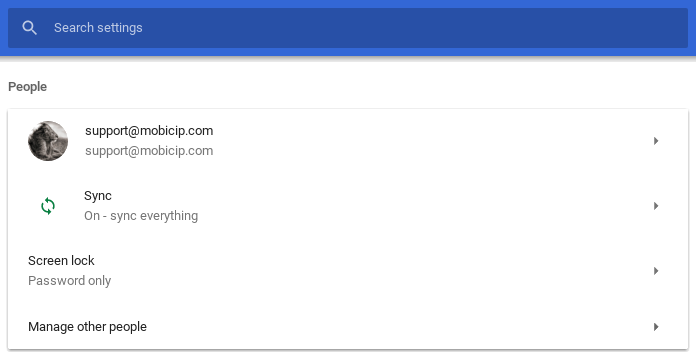 Enable Mobicip to notify you when there is no activity reported on the Chromebook. 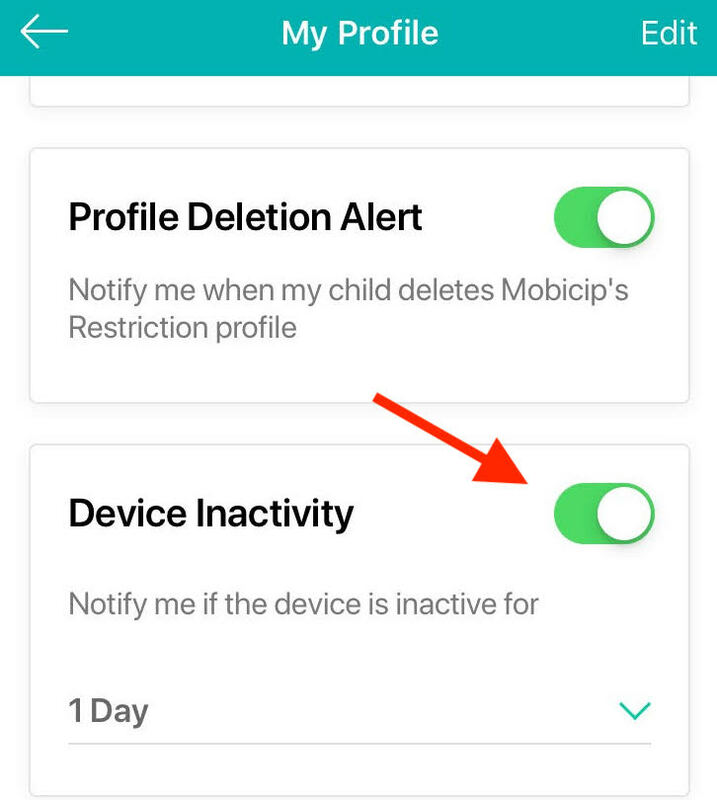 Open the Mobicip Portal or App and select My Mobicip > My Profile from the menu and check if 'Device Inactivity Alert' is on. That is it! You should be all set. The Chromebook is now protected by Mobicip. Login at mobicip.com from any browser or computer or use the Mobicip app in Parent Mode to manage your settings and monitor usage.